Lycoming College theatre department will kick-off the spring semester with “The Drowning Girls,” by Beth Graham, Charlie Tomlinson, and Daniela Vlaskalic. The play, directed by C. Austin Hill, visiting assistant professor of theatre at Lycoming College, will be presented in room D001 of Wendle Hall (Academic Center), adjacent to the lobby of the Mary L Welch Theatre, 8 p.m., Feb. 20-23. 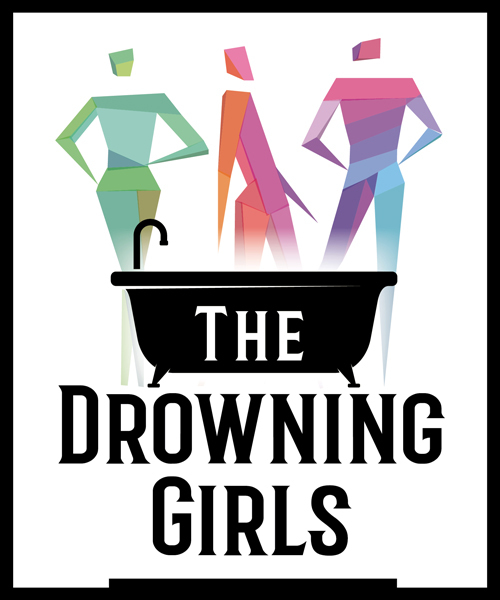 Written in 2008, “The Drowning Girls” has won a number of international awards, with Canadian Playwrights Graham, Tomlinson, and Vlaskalic earning kudos and applause for their poignant and energetic exploration of murder, misogyny and violence against women, as seen through the eyes of its victims. First produced for the Edmonton Fringe Festival in 1999, this revised version has enjoyed major productions in Chicago, Denver, Calgary, Cincinnati, and elsewhere. Both lyrical and complex, the play focuses on the victims of British serial killer George Joseph Smith. Between 1912 and 1914, Smith drowned in bathtubs three women — all of whom were illegally married to him. The murder-spree became known as “The Brides in the Bath Murders.” In this play, the women return from the dead, and from their bathtubs, to tell their sides of the story. “The Drowning Girls” rips the focus away from the killer, whose story is told widely in films, in fictional works by Agatha Christie and others, and in the annals of British crime. This version of the story, showing him only in relief, is told by Margaret Lofty (played by Amanda Goulden ’20, film and theatre major, music minor from Wharton, N.J.), Alice Burnham (Kiera Vinson ’22, theatre major from Clarion, Pa.), and Bessie Mundy (Ahlyah Williams ’19, theatre major, music minor, from Queens, N.Y.), the women he married and drowned. Tickets are available at tickets.lycoming.edu, in the box office of the Mary L. Welch Theatre lobby, Mulberry Street entrance, or by calling 570-321-4048.